Greetings chums, here’s a quick round up of what we managed to cook, bake and eat in December. It was the time of Christmas cheer and food so it was quite a lot obviously! Here’s hoping January doesn’t look quite this bad! Baked – fyi, most of these are mentioned in the Christmas baking post. I also need to tell you about a rum liqueur we discovered over Christmas. 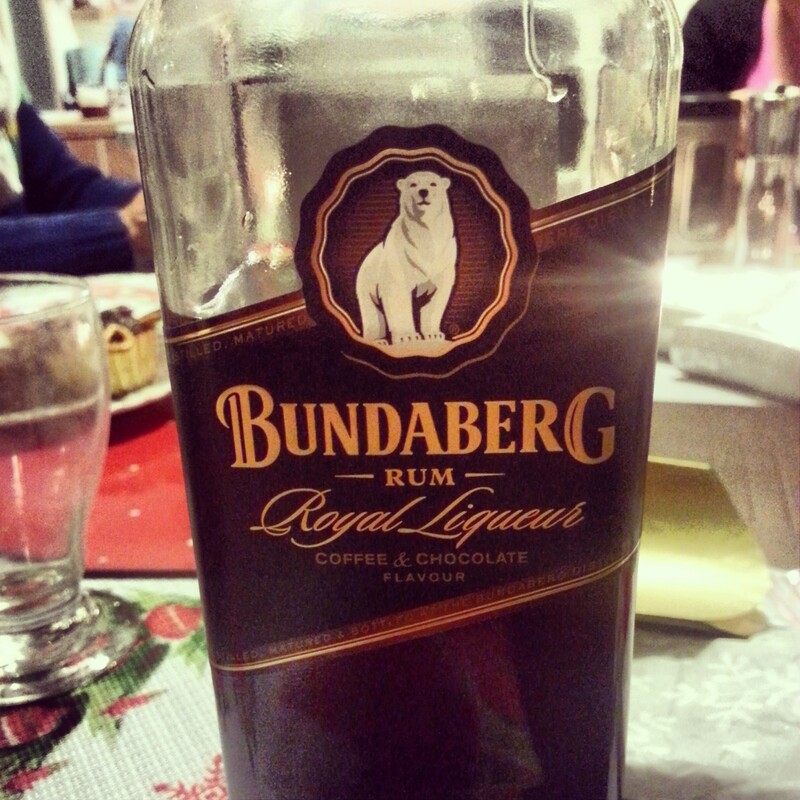 Some of our Australian family gifted us this Bundaberg rum liqueur that is chocolate and coffee flavour – they live in Bundaberg so it was an inspired gift idea. Now first impressions; rum? yuck. Smell? Yuck, but taste wise this is absolutely delicious with coke (or diet coke if your us). I highly recommend it, my sisters and I managed to get through most of the bottle over the Christmas period and we even got other family members trying it too. Phew, that’s an awfully long list! Mostly sweet stuff and eating out it seems, but hey it was December which is always a busy month full of eating out. The fact of the matter is that when we weren’t out and about we were basically just exhausted and not fancying cooking. That and soup this time of year, is just one of my favourite things! What delights has everyone else been cooking, baking and eating? p.s. sorry about the lack of photos, we both took loads over the holiday break, but none seem to be of food! July is over already, how has that happened? We all know by now that today’s post is all about the things we’ve been cooking, baking and eating this month. To start with what have we cooked? Well honestly this month has mainly been about the salads and fresh bread and cheese. There’s something about the British summer time that invites long lazy delicious suppers into my brain (and stomach). So we haven’t actually cooked a huge amount of anything, there’s been baked potatoes and salad, cheese and biscuits, chunky sandwiches and quiches. Plus pasta too. Again not much baking has happened. Can you believe no bread has been made? What a travesty. That must be rectified in August. We’ve baked chocolate and marshmallow fluff pie (post coming soon), a peanut butter chocolate cake and lots of peanut butter and chocolate cupcakes. Drinking Guinness at the Guinness Storehouse – and pouring our own pints!